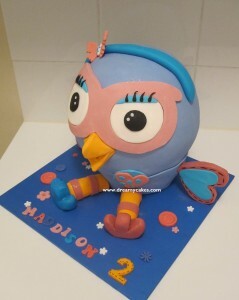 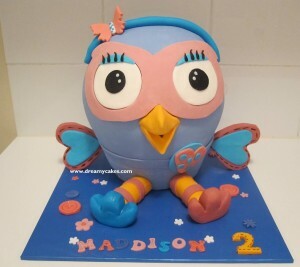 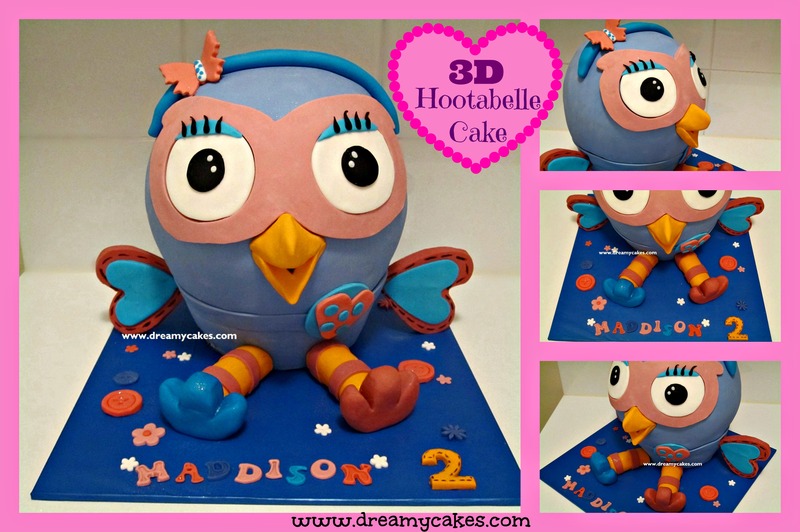 This 3D Hootabelle Cake was made for a 2nd birthday. 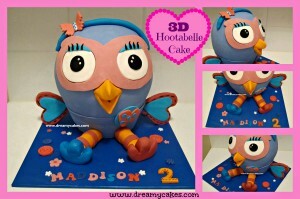 In case you are not familiar Hootabelle is a character from the popular ABC4Kids show Giggle and Hoot. 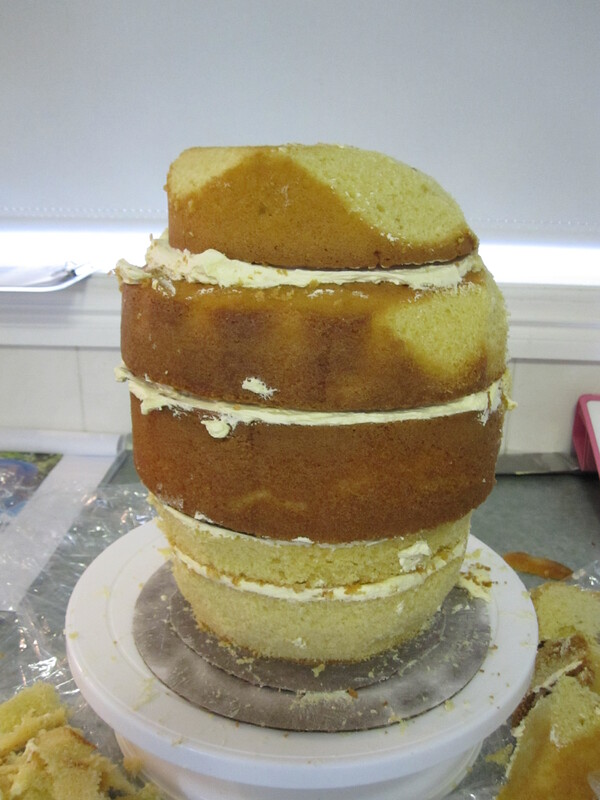 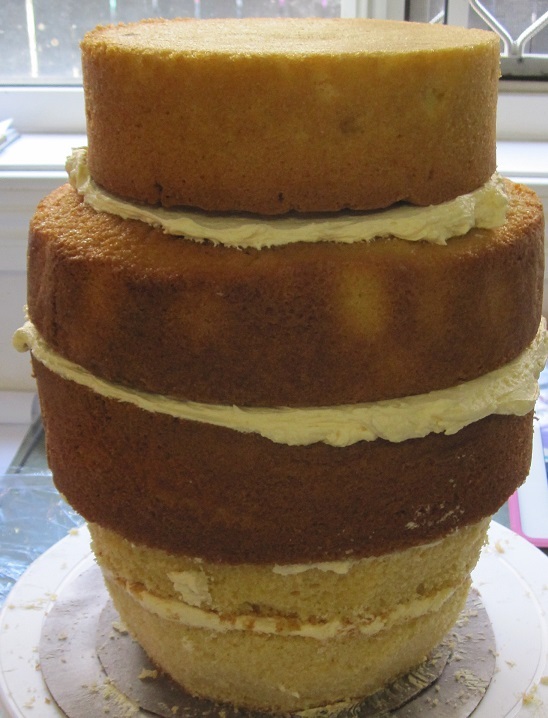 The next step is to ice the cake in a creamy layer of delicious buttercream…yum! We only use REAL New Zealand butter in our buttercream – you will taste the difference! 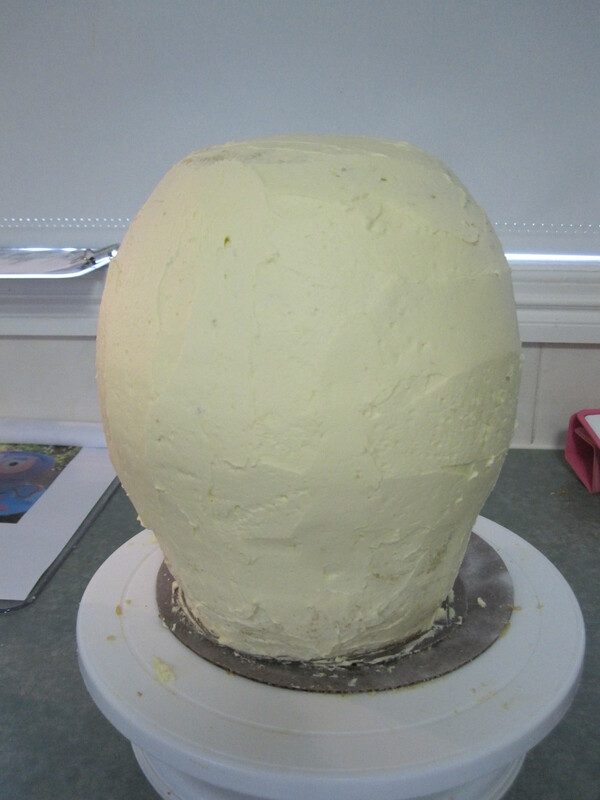 The buttercream is smoothed over and then it’s time for the fondant. Fondant is a type of sugar dough which can be moulded into any shape and coloured. It is a great medium to use and makes the cake surface super smooth. 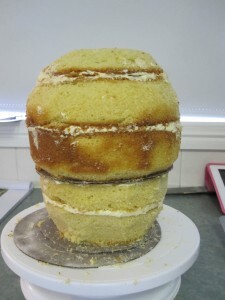 I am really pleased how the cake turned out – what do you think? Here at Dreamy Cakes we specialise in making children’s cakes – we can also make cupcakes to match your cake and party theme.